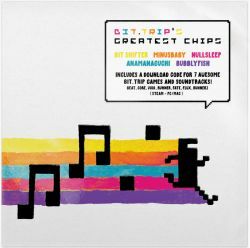 Limited Edition Picture Disc of 1,500 which includes music from the BIT.TRIP series, PLUS a digital download code for every BIT.TRIP game and soundtrack (including Runner 2 which does not have music on the actual record). Vinyl Side A: Tracks 01-06 / Side B: Tracks 07-11. Album Art by Drew Wise.